It’s strange being in a place away from home in which you don’t understand the language or even even pronounce half of the words. But once you pass immigration you get used to it and suddenly you are absorbed into this new culture. It’s only the first day and we are immediately hit by the exhaustion of tourism in a European city. We waited for an hour for the food to be prepared and but it was all worth it when suddenly to my surprise a pork leg the size of my head was served right in front of me it was by far one of the best pieces of pork I have ever had). Today was Day 2 in Prague and the amount walking and stair climbing was taken to another level. We visited one of the biggest castles in the world. The most memorable part of the whole trip was climbing up 280 stairs to the top of a church. The view was breathtaking. The city looked so beautiful and charming from another view. 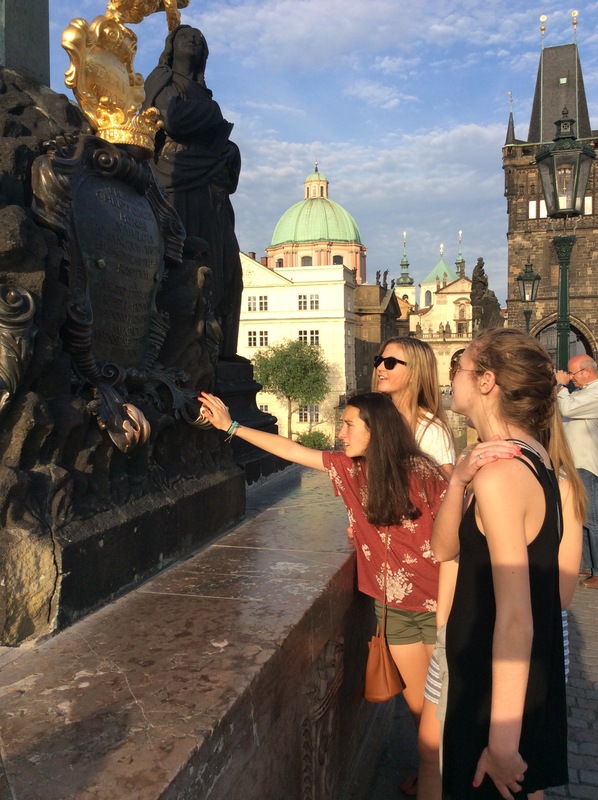 We learned about important reformers in Prague during the 14th century and 20th century. 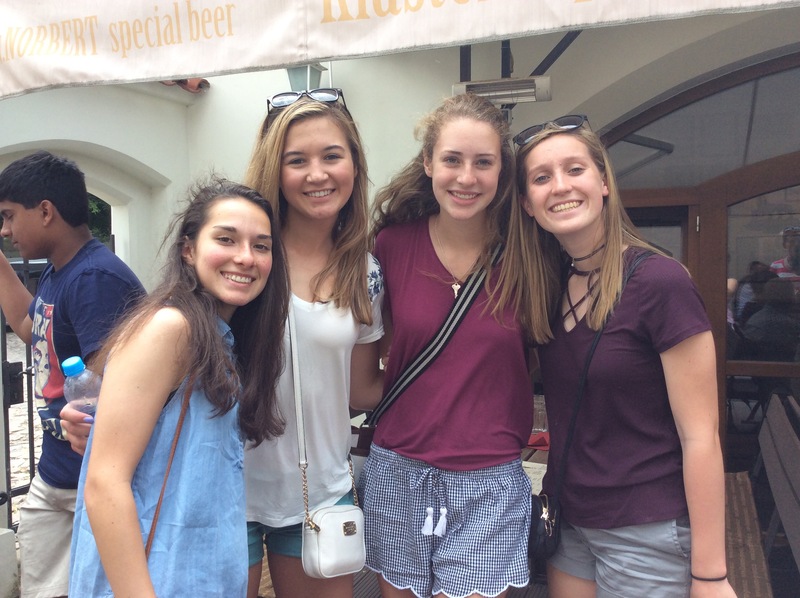 Today we also discovered how the to be a true “Praguers” by traveling to delicious little cake shop and coffee shops only known by the natives and getting lost in the cobblestone streets at night. With sore feet but an adventurous heart I am excited to see what new journies await us!